I arrived at San Manuel High School on a spring morning in 1958 to a scene of tragedy. Girls were crying; boys were talking in small groups. A beautiful, quiet Mexican-American girl had just been shot by a student who’d been playing with a rifle in his car when the gun accidentally discharged. The sadness of the event was beyond measure. The boyfriend’s struggle to hold back tears at the girl’s funeral was heart-rending, as was his face-to-face forgiveness of the boy who’d killed her. For weeks, our stomachs were hollow with “whys?” The girl’s quiet sweetness lingered under an uncertain heaven. As I look back 43 years later, what strikes me is that nothing in our education had even remotely prepared us to deal with the event. Our teachers not only didn’t discuss it with us, but they appeared to be entirely uninterested in the questions it posed regarding the ultimate meaning of life. But for me, these questions seemed vital. Returning to the normal routine of English, math, history, and P.E., I secretly questioned the worth of an education that proved so flimsy when life intruded violently upon our hearts. Sir Kenneth Clark, the late cultural historian and author of the book and film, Civilisation, pointed out that the source of moral values in all societies has always been religion. Yet nowadays, it seems barely acceptable to talk about values in our public schools, far less spirituality, lest we trample private sensibilities. But if mass murder committed by school children isn’t about values and questions of ultimate meaning–what is? In the wake of Littleton, no philosopher, no clergyperson, no senator, no academic or talk-show host came even remotely close to offering credible suggestions for “dealing with teenage violence,” much less understanding it. We seem to be no further down the road than we were 40 years ago. And yet, values play a central role in every choice we make. We choose an ice cream flavor based on our personal scale of values: chocolate is a 10; strawberry perhaps a 4. 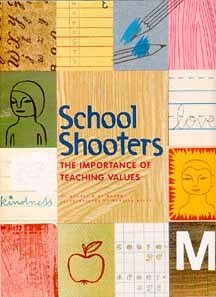 And if our values are really and truly skewed, we may attempt to resolve our frustrations by picking up a gun and sending bullets ripping through the flesh of our classmates, convinced that human life matters less than the promise of satisfying some blinding, twisted personal need. If values are this important, surely we owe it to our children to teach them to make expansive, happy choices, even as “primitive” cultures have always done. The standard reply–frequently offered in smug, bellicose tones–is: “You’re gonna teach my kid values? First you better tell me whose values you’re gonna teach!” As if there were Black, Hawaiian, Serbian, Gay, Episcopalian, or Lower Slobovian values. There aren’t. Certainly, every culture has its teaching stories and holy scriptures, but the themes of morality are the same everywhere: honesty, love, courage, honor, fortitude, and kindness. That’s because values are based on the way we’re wired. Whether our skins are black, brown, white or yellow, and whether our temples have crosses, stars, or purple onions on them, we’ve all been given the same five instruments through which we can interact with the world: our body, feelings, will, mind, and soul. These instruments don’t have race, gender, politics, or religion attached to them, and they’re standard equipment worldwide. Whether we experience health or sickness, love or hatred, strength or weakness, wisdom or ignorance, joy or sorrow depends entirely on whether we apply these common, ordinary human tools expansively or contractively. We are nourished–or poisoned–by the thoughts, feelings, and volitions that we allow to flow through us. This is no longer a debatable point of religious dogma, but hard science. We now know that our feelings and thoughts positively or negatively affect every cell of our bodies, thanks to chemicals known as neuropeptides, which their discoverer, Candace Pert, Ph.D., described in her best-selling book Molecules of Emotion. Isn’t it a little strange that we don’t bother to teach children how they can reap the fruits of using their bodies, hearts, and wills wisely–fruits of health, love, strength, wisdom, and joy? And that we fill their time at school instead by cramming their heads with facts? Why have we failed so utterly to pass along the gathered wisdom of our common human heritage, in a manner that inspires children with the joyful possibilities of life and a sense of their intrinsic worth? Why? Because we’d just as soon avoid stepping on each other’s toes. Welcome to the culture of 10,000 special interests. But how does it conceivably contradict the Bible, the Koran, the Talmud, or the Bhagavad Gita to teach kids “Thou shalt not kill” in ways that permit the lesson to enter deeply into their hearts, and not merely their minds? During the 1980s, I interviewed the teachers at a small private school near Nevada City, California, where values were strongly emphasized. 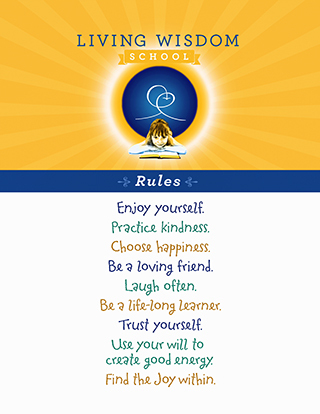 Values were particularly stressed at Living Wisdom School during the “feeling years” from age 6 to 12. The teachers told me this was because values are more a question of the heart than of the mind. Even as presumably rational adults, we tend to decide whether something is right or wrong, not by actually thinking through the issues, but by feeling their rightness or wrongness. The teachers then asked how the children had enjoyed building a snowman together. I ask you. How does it contradict Christian, Black, Islamic, or Eskimo values to help children become more acutely aware of the contrast between the way kind and hurtful actions feel? When children harm others, their hearts feel constricted, even as our adult hearts do. And when they perform loving or creative actions, they feel empowered, and their hearts expand with happiness. I find it effortless to imagine the same lessons being taught in Christian, Black, Buddhist, or Jewish schools. And if the teacher wants to emphasize that Jesus, Buddha, Moses, or the Prophet expressed those same lessons using inspiringly beautiful words a long time ago, so much the better for the child. How much more alive and loving would Jesus, Buddha, or Mohammed become to the children, and how much would it strengthen those lessons–and their faith–to have their own experiences validated in such memorable and uplifting terms. Is it such a great leap from kindness learned in a snowball fight, to kindness learned through the scriptures? How beautiful, because how true. The scriptures are a priceless catalog of values that work. Which is to say, they simply remind us of what our hearts tell us about the path to true fulfillment. Why do we labor so hard to fill children’s brains, but seldom bother to educate their hearts? Because, among our other concerns, we fear that if we take time to teach values, we’ll jeopardize their chances of earning a good living later on in life. But surely it’s time we got real. Surely we’ve received a loud and clear wake-up call from Paducah, Jonesboro, Springfield, Littleton, Conyers, Santee, and El Cajon. Shouldn’t we instead consider the risks involved in not teaching values? Will children who are deprived of all sense of life’s joyous possibilities be more likely to want to earn a good living, or will they feel profoundly betrayed and lash out in rebellious anger? The answer, surely, is no longer in doubt. For 30 years, the children at Living Wisdom Schoolhave scored consistently above the national average on standardized tests of academic achievement. The teachers say this is because of, and not despite, their values-weighted education. 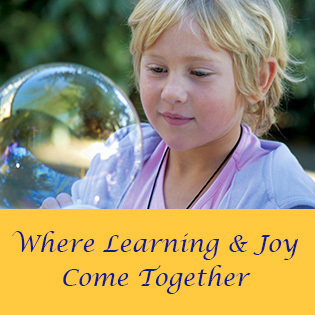 “Children who learn to love,” they told me, “love learning.” Perhaps not surprisingly, the school calls its method “Education for Life,” after the title of a book by J. Donald Walters. A child whose heart has been guided into sensitive awareness of how much better it feels to love than to hate is less likely to mow down his classmates in a doomed attempt to alleviate feelings of alienation, hopelessness, and terminal boredom. Values have the power to change hearts and save lives. What children don’t need in this fact-mongering age of materialistic heartlessness is our hand-wringing, our political dithering, our finger-pointing, and our talk-show blathering, far less our special pleading based on religion and ethnicity. Children need our love, our wisdom, and our energetic, committed care. It might take generations to swing the weight of the educational establishment around. But with creativity, energy, and cooperation, we can begin to save our children right now–town by town,block by block, home by home. George Beinhorn is a writer and editor in Mountain View, California. He is the author of the book Fitness Intuition. The complete book, Education for Life, is now available for reading or printing online.